Hey guys! 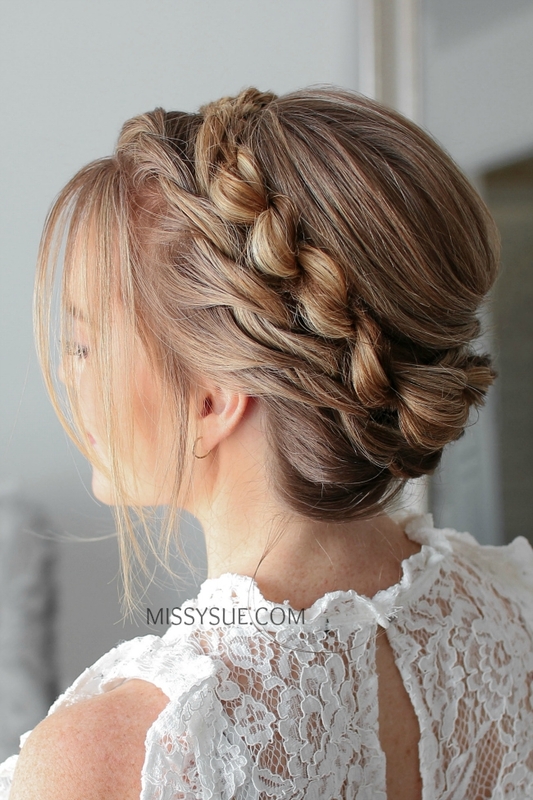 The crown braid has always been one of my favorite hairstyles. 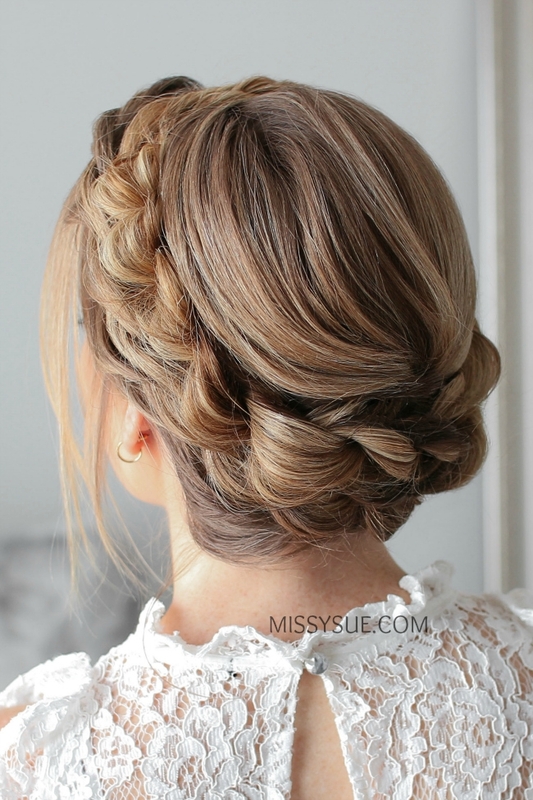 It can be worn with every hair texture and (most) lengths, and can even be worn with your hair halfway up. 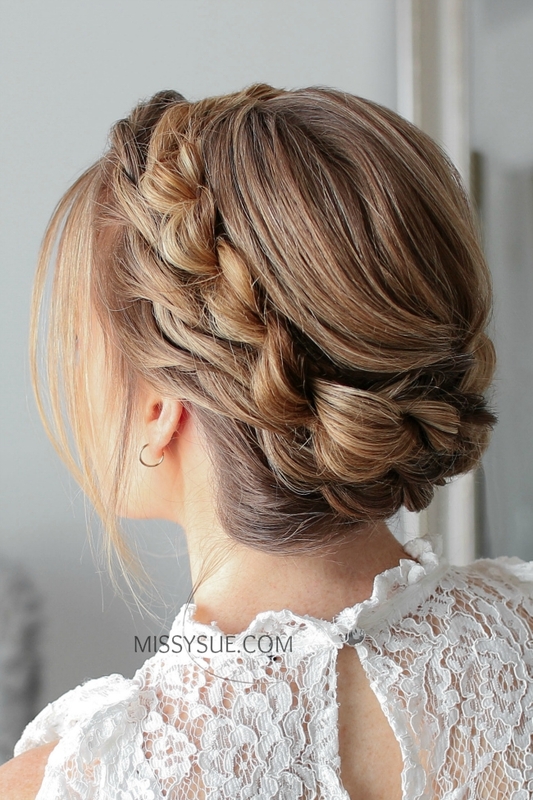 Instead of always wearing it with a french or dutch braid, try it this way with a twist braid. Step 1 / Begin by parting the hair on the right side. 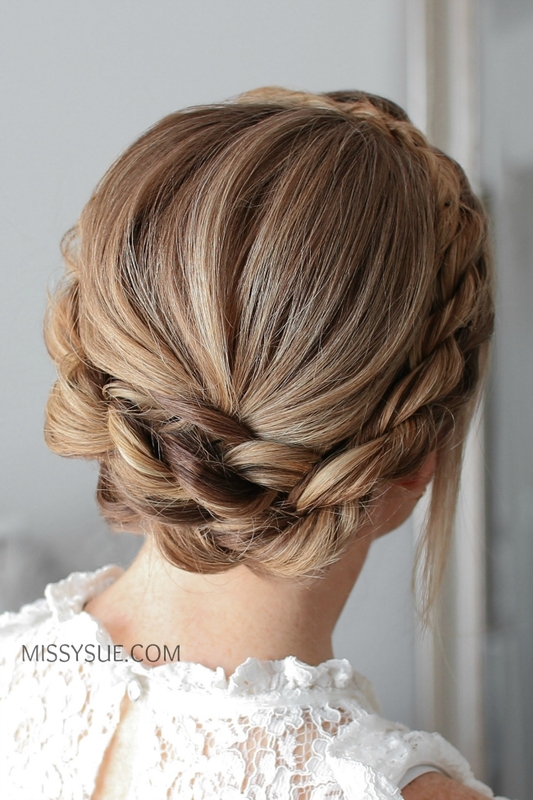 Step 2 / Divide out a section of hair at the crown, twist it together and pin it at the back of the head. Step 3 / Now divide the rest of the hair into a left and right side. Step 4 / With the hair on the left side, divide out a section of hair to frame the face, then pick up a section and divide it into two smaller pieces. Step 5 / Then cross the left strand over the right. Step 6 / Add in a new section to both sides, twist each section towards the face and then cross the left strand over the right strand. Step 7 / Then add a new section into both sides again, twist the sections toward the face, and cross the left strand over the right strand. Step 8 / Repeat those steps, crossing the left strand over the right strand while adding new sections into both sides, twisting the sections towards the face, and working down the left side of the head until all of the hair from the left side is added in. Step 9 / Once all of the hair is added into the twist, continue twisting the section down to the ends, then tie off the end with an elastic band. Step 10 / Now repeat those steps and create a second twist braid with the hair on the right side. Step 11 / Once both braids are done, take the ends and remove the elastic bands from the ends of the braids. 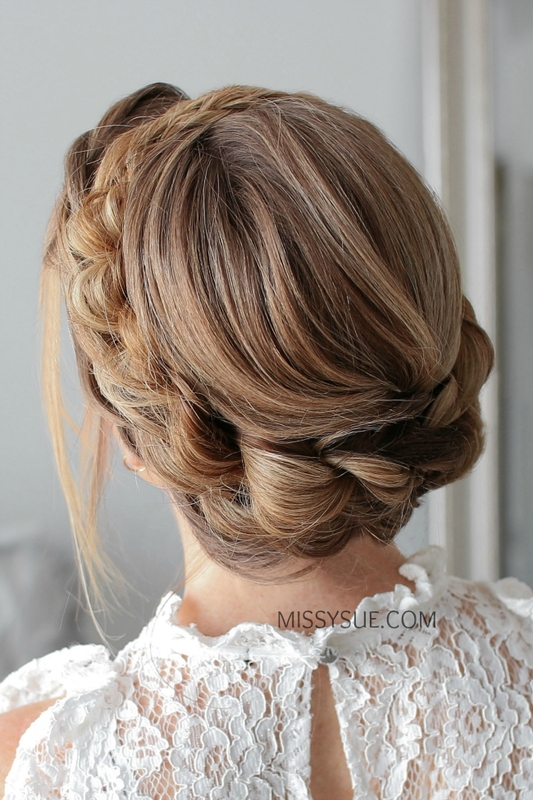 Step 12 / Wrap them up along the opposite sides of the head, criss-crossing them at the top and pin them in place with bobby pins. Step 13 / Set the style in place with hairspray.